MainJudaismWhy don't WOW ask Rick Jacobs about tefillin? Why didn't the Women of the Wall ask Rick Jacobs, the president of the Union for Reform Judaism (who was recently in Israel supporting them), to change the Reform Movement’s practice of rejecting the mitzvah of tefillin? If the Women of the Wall cares about the mitzvah of tefillin, as they claim, why they didn’t ask Rick Jacobs, the president of the Union for Reform Judaism (who was recently in Israel supporting them), to change the Reform Movement’s practice of rejecting the mitzvah of tefillin claiming that “We don’t need that anymore. That’s an ancient practice.”? This campaign is the equivalent of spiritual fraud: as many members of the Women of the Wall belong to the Reform Movement. The Reform Movement holds that putting tefilin is not a mitzvah, Reform members, even their Rabbis, do not put tefillin. Here's a story: Burt Siegel, a retired Reform Rabbi, only recently started putting tefillin after he started praying in Chabad. On March 31, 2016 Catherine Prince wrote in the Times of Israel “…Siegel is the adored Rabbi Emeritus of The Shul of New York, a Reform congregation in Manhattan’s Lower East Side he founded 14 years ago. But he recently started praying with Chabad, an Orthodox Jewish Hasidic movement… Siegel decided he’d go to a Shabbat service at the Chabad of the Upper East Side. He was transfixed. “There was something about the enthusiasm, the sincerity that I’d never seen before. I felt finally, after all this time, here was the genuine, true Jewish spirituality I’d been looking for,” he said, a broad grin spreading across his face. 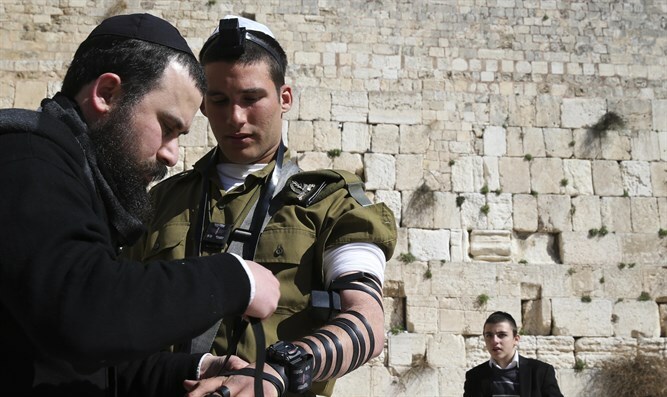 Now he goes every morning to lead services, and wearing tefillin has become second nature. Indeed, Siegel said he feels more tethered to Judaism now that he’s started wearing it. Afterwards he stays and studies Talmud and other religious texts with Chabad rabbinical students. The twentysomethings may be young enough to be his grandsons, but Siegel fits right in. "...an Orthodox Rabbi cannot in all conscience recognize the Conservative and Reform points of view, inasmuch as both of the latter do not accept the Written and Oral Law. Hence these movements and their representatives cannot be recognized as legitimately representing the Jewish religion, inasmuch as they reject it. This has been unequivocally ruled by the Rambam and other authorities that followed him, who have established the laws and attitudes of the Shulchan Aruch, leaving no room for doubt or discussion on this basic issue. "From the above it follow immediately that the activities of such dissident groups cannot be recognized as Jewish religious activities within the definition of Jewish religion. 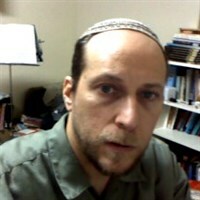 Therefore, Orthodox Rabbis cannot, in all conscience, be members of a body or organization together with representatives of the non-Orthodox points of view, namely, of the Conservative and Reform movements, inasmuch as participation and affiliation in such a body or organization would ipso facto constitute a recognition of the Conservative and Reform interpretation of Judaism as being legitimate parts of the framework of the Jewish Religion, in direct conflict with the unequivocal Psak Din of the Rambam and other autyhorities, as mentioned above..."